Breakable and fragile items must be covered with bubble wraps as an additional protective layer to avoid unnecessary damage during handling and transport. Electronic and gadget manufacturers should always have on-hand this packaging essential. This can be used along with styro foam forms to keep the item in place and secure inside the box or it can be used independently. 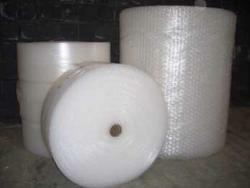 Bubble wrap in Boston, MA is highly effective and available in different sizes. Manufacturers can even request made-to-order sizes to better suit their application. Bubble packs, bags and wrap are the most preferred packaging solution for fragile items because the protruding air-filled orbs are excellent shock absorbers. They provide an outstanding cushioning effect when delicate items accidentally fall or are dropped. Moreover, poly bubble wrap is easy-to-use. They reduce packaging time and labor costs and do not add any extra weight to the package. This means that shipping costs do not increase with this added protection. Contact Atlantic Poly for high quality and customized poly bubble wraps.